CANTON — The boys swim team from Galion High School and the girls squad from Colonel Crawford sent a total of 11 student athletes to the C.T. Branin Natatorium in Canton last Thursday, February 22 to compete in the Ohio High School Athletic Association Swimming and Diving State Tournament preliminaries. The OHSAA uses the preliminaries to determine the top-16 placers in each event to determine the finalists to compete the next day. Galion would be represented in the 200-yard medley relay, the 200-yard freestyle relay, the 400-yard freestyle relay and in the 100-yard backstroke. Crawford sent two girls relay teams, the 200-medley and the 200-free, to Canton with hopes of advancing to compete for a state title. Amidst the youth and a very tough field however, neither team would see any of their athletes qualify for the finals to be held on Friday, February 23. Caleb Strack, the Tigers lone individual event qualifier, swam a preliminary time of 56.66 on Thursday but missed the cut, placing 23rd in the field. Jacob Eismann of Columbus Academy and John Sampson of Bellbrook would share the state title the following day as both boys finished in a time of 49.34. The foursome of Strack, Luke Eisnaugle, Clay Karnes and Sam Rigdon were the closest to qualifying for finals of all the representatives. In the 200-medley relay, the Tigers squad swam a prelim time of 1:41.56 but missed the cut after placing 18th. Ben Alstadt joined Eisnaugle, Karnes and Rigdon for the 200-free relay and the team swam a 1:32.27 but would miss the cut, placing 20th in prelims. In their final chance of qualifying, the group of Weston Rose, Alec Dicus, Strack and Alstadt joined up for the 400-free relay but with a 20th placing in a time of 3:24.38, the team would not advance to the following day’s action. In the 200-medley relay, the state champs from University School won the event Friday in 1:34.47. Bishop Watterson won the 200-free relay in a time of 1:25.66 and the squad from Columbus Academy won the 400-free relay in a blistering 3:06.95. Hunting Valley University School would win the overall team state championship on the boys side by edging perennial powerhouse Gates Mills Hawken; 219.5-211.5. 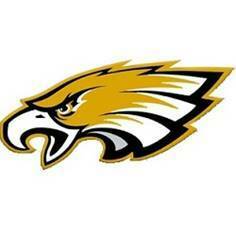 The two relay teams for the Lady Eagles of Colonel Crawford were comprised of Cassidy Vogt, Kaisey Speck, Jillianne Gregg and Pierce Krassow. In the 200-medley relay, the Crawford ladies swam their prelim race in 1:53.29 but would not advance after finishing 20th. Over in the 200-free relay, the Lady Eagles swam to a 19th best qualifying time of 1:42.23 but would see their collective season end. The girls team from Gates Mills Hawken would set a new state record in their way to a victory in the 200-medley relay, finishing the event on Friday in a time of 1:41.63. Toledo St. Ursula won the 200-free relay in the finals with a time of 1:36.23. Gates Mills Hawken cruised to the girls state title, distancing themselves from runner-up Shaker Heights Hathaway Brown; 345-157.